Dr. Arin Aboulian is a well-known pulmonologist in Glendale, California. He received his medical diploma from Rosalind Franklin University of Medicine and Science, Chicago Medical School in 2005. 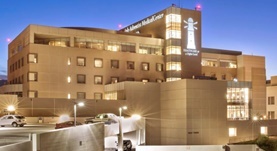 Dr. Aboulian completed his medical education with a residency in internal medicine in 2008 and a fellowship in pulmonary disease and critical care medicine in 2012, both at Cedars-Sinai Medical Center. He is certified by the American Board in internal medicine, pulmonary disease, and critical care medicine. 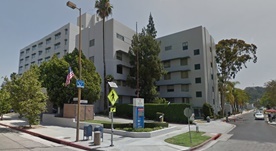 Dr. Aboulian works with several hospitals in the area, including Glendale Adventist Medical Center and Glendale Memorial Hospital and Health Center. Furthermore, Dr. Aboulian is a member of the American College of Chest Physicians. Dr. Arin Aboulian has contributed to 1 publications.